Imagine you have just finished planning your dream wedding but have no idea where to spend your honeymoon with your partner? Unbelievable isn’t it? Actually, it’s believable considering the stress that comes with planning weddings (if you choose to plan yours). 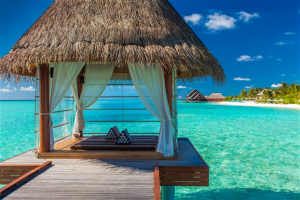 Couples that can afford to have their honeymoons abroad usually have a hard time picking the best place but in this article, five places have been shortlisted by Traveltriangle for you to experience the perfect honeymoon as newlyweds. Bora Bora Islands outscore every other destination by offering a beautiful, befitting ambiance and mood. Turquoise lagoons, clear deep blue waters, secluded bungalows to stay and sumptuous food -what more can you ask for? For true romance, don’t miss Mount Otemanu, Scuba, Snorkelling, Matira Beach, Bora Bora Lagoonarium, and Leopard Rays Trench. The best time to visit is between May to October. 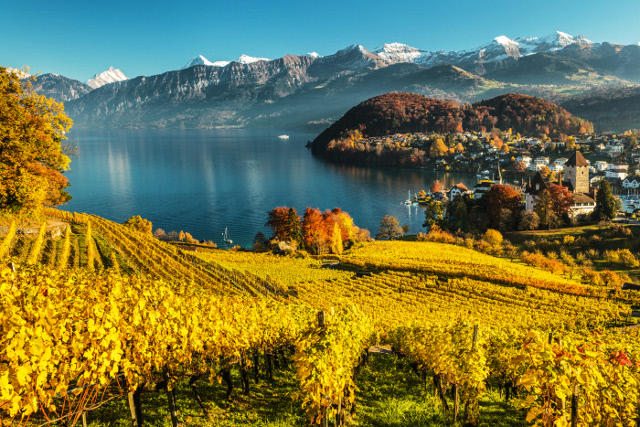 The most beautiful and romantic honeymoon destination of the world, Switzerland attracts a plethora of newlyweds. 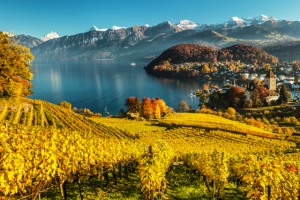 Go boating on the River Limmat, take a stroll in the charming streets and explore the museums scattered all around for a truly magnificent honeymoon. Don’t miss places like The Jungfrau Region, Chateau de Chillon, Swiss National Park, Fasnacht Spring Carnival, Geneva, and The Matterhorn. The best time to visit is between September to October. Another popular honeymoon getaway, Bermuda’s dramatic coastline filled with stunning blue waters, limestone cliffs and opulent beachfront resorts is absolutely stunning. Get cozy with your partner in this wonderful destination and enjoy the blissful hospitality of the locals. Places like the Horseshoe Bay Beach, Gibb’s Hill Lighthouse, Beach Bathing, Snorkelling, Elbow Beach, St. Peter’s Church, Jobson’s Cove Beach and Crystal & Fantasy Caves should be visited. The best time to visit is between April to September. Las Vegas, the ‘entertainment capital of the world’ needs no specific introduction. Apart from being the most popular wedding destination, Las Vegas is a magnificent honeymoon destination to bask in the all night parties and unending fun! Memorable places to visit are Red Rock Canyon National Conservation Area, Exotics Racing, Wynn Las Vegas Casino, The Strip, High Roller, and Hoover Dam Bypass. The best time to visit is between May and September to November. 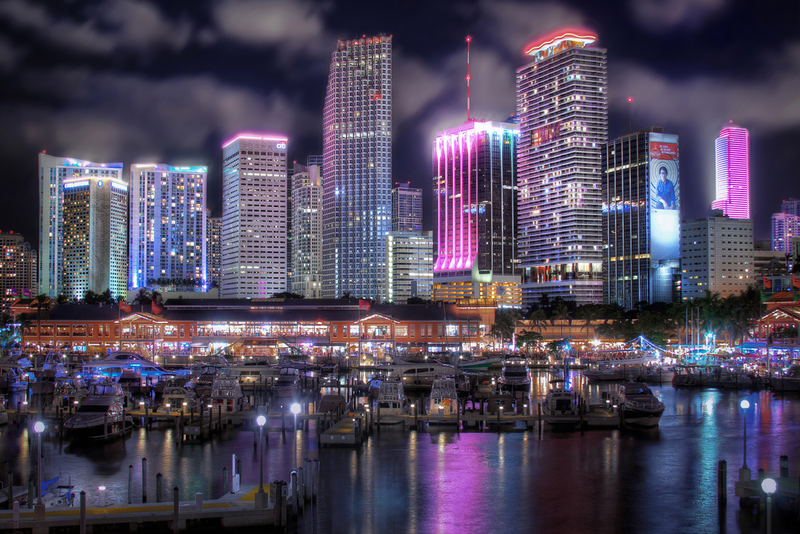 Miami is a destination known for its extravagant nightlife, long stretching miles of white sand beaches, with a backdrop of gorgeous skyline and cultural flavors. Head to this amazing destination in Florida and make your moves in Salsa with your sweetheart. You could visit places like the Miami Beach, Art Deco District, South Beach, Ocean Drive, Bayside Marketplace, Vizcaya Museum and Gardens, and Zoo Miami. The best time to visit is between March to May.